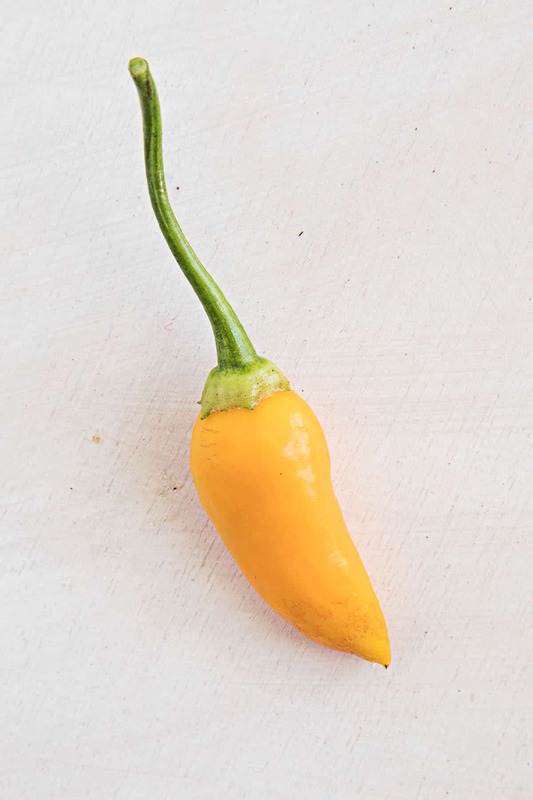 The Aji Habanero has only a fraction of the heat of a regular habanero but is named for its similar appearance and smoky, fruity flavor. The crisp fruits can be harvested when green around 70 days or their mature yellowish-orange around 85 days. They grow to about 3 inches, with a tapered shape and slight wrinkles. An attractive addition to your home garden, these beauties are easy to grow and produce large harvests which can be dried to preserve for use later in the year. 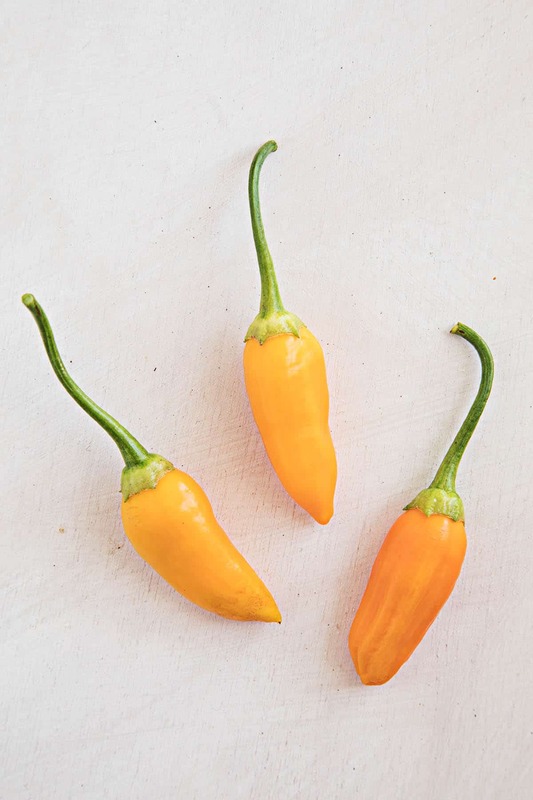 While they are great for drying, these moderately spicy peppers are best appreciated when eaten fresh, in a salad or on a burger.